After 50 years at the Upwey brigade, beloved local and member Peter Hall is hanhing up the overalls. For 100 years, Upwey CFA has been serving the hills community. For 50 of those, Peter Hall has been right there to serve as well. 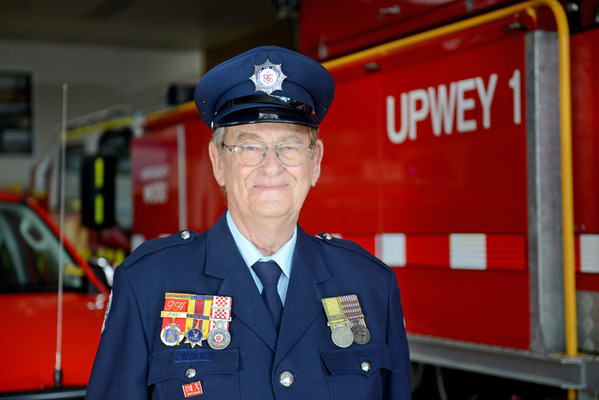 From saving cats stuck up trees, responding to fires on Ash Wednesday, and even setting up a defensive drivers program for young drivers, Peter Hall has been an enduring member of the Upwey CFA brigade and hills community. Now at the age of 74, he is hanging up the overalls and becoming a non-operational member. Though, he jokes; “he’ll still find something to do”. “50 years … it’s a bloody long time,” he said. “It’s been interesting … when I joined initially, I was going to put in 12 months, this was in my early 20s, I thought I’d do a bit for the community … here I am 50 years later. “In those days, if there was a pair of overalls hanging on the peg that fitted you and no one else was using them, you’d put them on and jump on the truck and that was it and you didn’t know where you were going. Joining the brigade in 1967, but only being officially recognised as a member in 1968, Mr Hall reflected upon the many memorable moments and close bonds formed. “I’ve made some fantastic friends and lost some fantastic friends from here too … it’s a big part of your life,” he said. That support and camaraderie came in many forms for Mr Hall and it was especially apparent when both his sons, Travis and Anthony Hall were sadly killed in a car crash in Cockatoo in 1995. The months that followed he said were hell and though he stepped back briefly from the position of first lieutenant, he never resigned. Twelve months later, the Anthony and Travis Hall Memorial Driver Education Fund was launched by prominent members of the Dandenong Ranges Brigades: Peter Hall, Graeme Legge, Bob Horner, Geoff Champion and Peter Marke. The fund was created in memory of Travis and Anthony Hall, and was designed to provide drivers from the hills with essential education in car control. It’s a legacy that has helped over 100 young drivers learn defensive driving skills. “I did back off for a little while, not for long, I felt if I chucked the towel in then, it’s not what the boys would have wanted … we went through hell but we were lucky in the people we knew,” Mr Hall said. 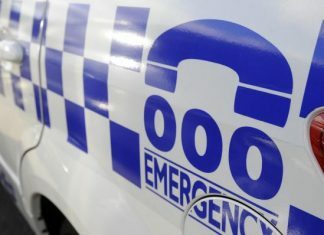 “This year is 20 years of the fund and we’ve roughly had over 100 put through … one of them, a young man from Kallista, came around a bend in Monbulk and another car was on his side of the road … he swerved and pulled over. “He told me later that if he hadn’t have used the skills he learnt from the drivers course, it would’ve been a fatal accident. Over 50 years, there are many memorable moments and though the technology, response times and the way in which CFA now respond to incidents has changed, Mr Hall said the people and the community have remained much the same and are as welcoming as ever.